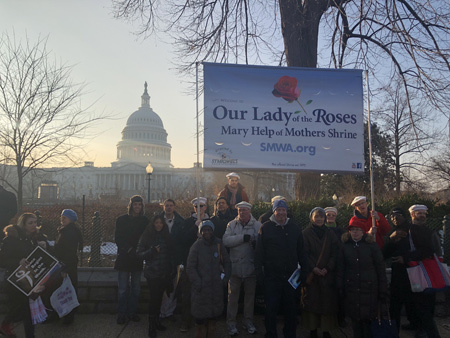 A busload of pilgrims from St Michael's World Apostolate (see Our Lady Roses banner above) and some local parishioners joined the throngs in Washington, D.C. in defense of human life from conception to natural death. 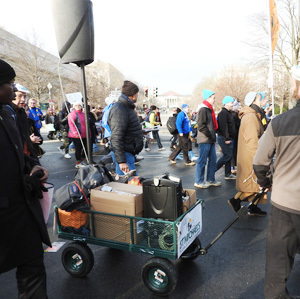 The Lay Order of St. Michael (LOSM), along with other Bayside devotees, led thousands in the recitation of the Rosary and hymns over our portable microphone system (above). 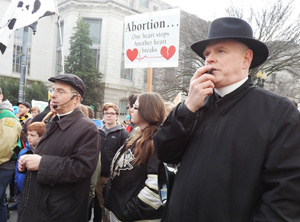 This good priest, with a little speaker system strapped to his back, helped us broadcast the prayers of the rosary. 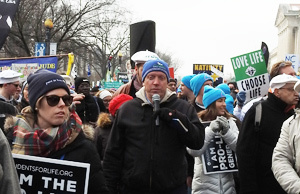 Michael Mangan, President of St Michael's World Apostolate (SMWA), read a statement in defense of the sanctity of human life several times, which included a denouncement of the recently signed "Reproductive Health Act" by Governor Andrew Cuomo of New York. 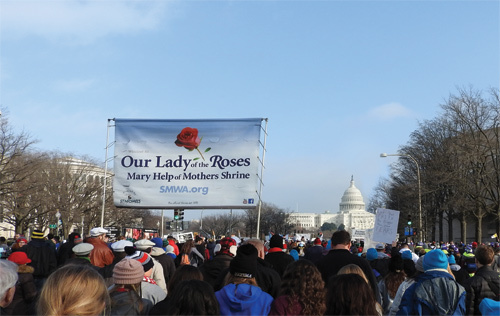 As we marched up Constitution Ave., the SMWA banner prominently stands out. 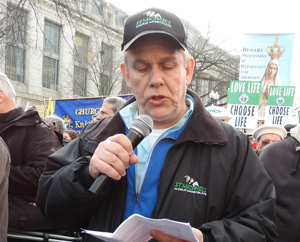 Jeff Datt of Fairfax, Va. distributing Our Lady's Message. 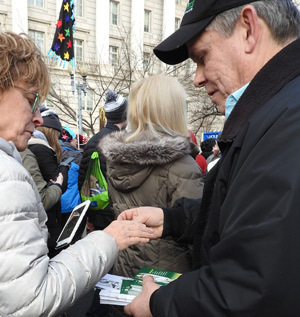 Michael distributing the St. Michael Short Exorcism prayer card to a fellow pro-lifer. 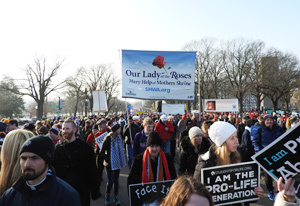 EWTN estimated that 300,000 attended. 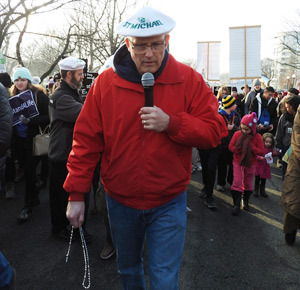 Dan Linnell of E. Sandwich, Mass., leading a Rosary. 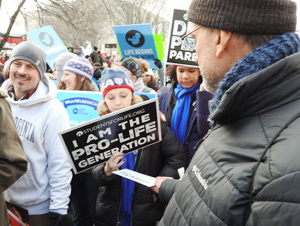 Some of the pro-life warriors. 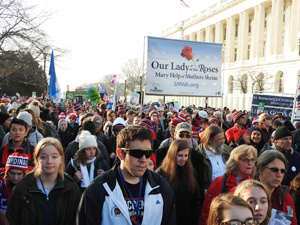 By the end of the day, we led many rosaries of reparation with tens of thousands participating. 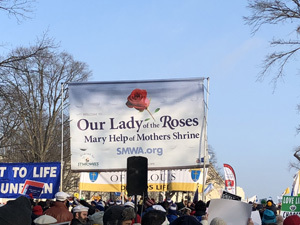 Thousands of Our Lady's Messages were distributed and received well. 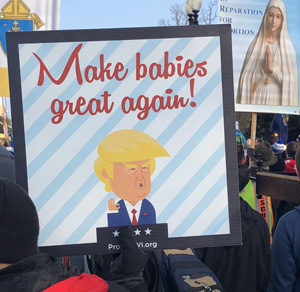 Let us pray that the good pro-lifers are deeply moved by Our Lady's powerful Message.